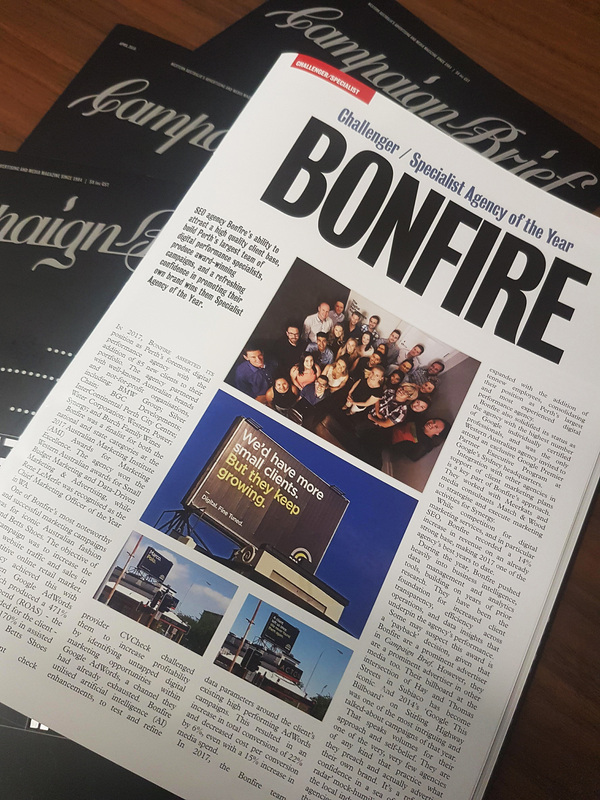 The Bonfire team are honoured to have won the “Challenger or Specialist Agency of the Year” award at the 2018 Oasis Ball and Campaign Brief WA Awards. 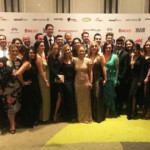 On Friday, April 13th at the Crown Towers Ballroom, we joined more than 800 of Western Australia’s media and advertising professionals to celebrate the industry’s biggest achievements and raise money for The Oasis Project – an initiative to support the Salvation Army’s Crossroads West programme. 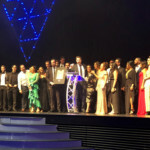 As a digital performance agency, we are overjoyed and honoured to have won the prestigious “Specialist Agency of the Year” award. 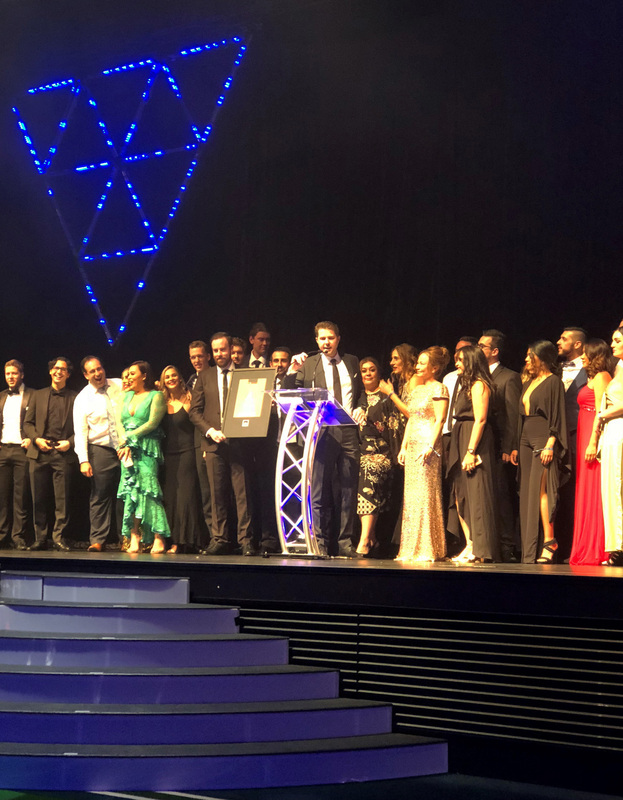 To also be nominated as a finalist for the “Use of Data” award with our entry “Data innovation: New digital direction rejuvenates iconic WA bricks and mortar brand” topped off an incredible evening. 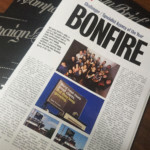 Bonfire’s CEO, Clay Cook, says the nomination and win are both great accomplishments for the agency. “We pride ourselves on our finely tuned approach to digital, so to be acknowledged as the leader in this field is a tremendous honour,” said Mr Cook. Congratulations to all the award finalists and winners! To view the full list, click here. 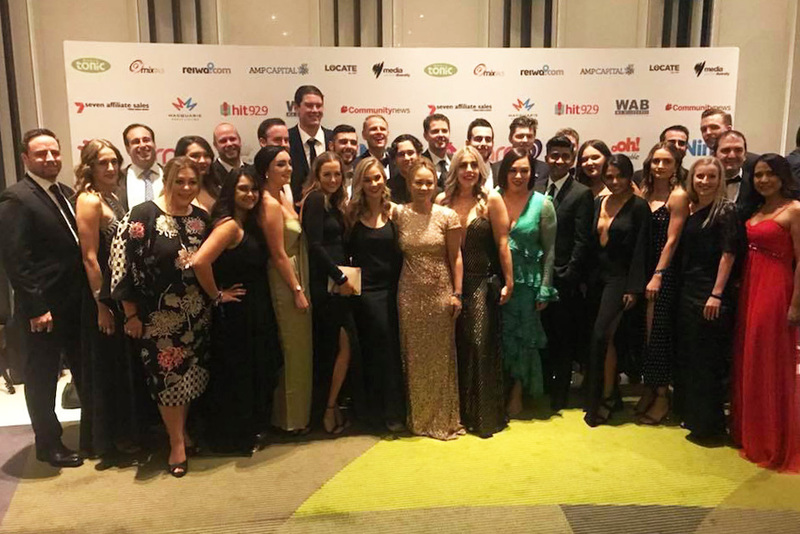 We’d also like to thank Campaign Brief WA and the Oasis Ball Organising Committee for an exceptional evening.